1. Brush your teeth before you leave the house in the morning. Most school mornings have little time to spare. Keep morning brushing as one of your “can’t miss” steps before heading out. You’ll start the day with fresh breath and a bright smile. 2. Consider diet. School meals may contain processed and sugary foods. If you pack your own lunch try to focus on packing perishable items, such as fruits and vegetables, that will provide your kids with healthy alternatives. 3. Choose Water. Juice and soda often contain more sugar than children should have in an entire day. This sugar can coat the teeth, promoting tooth decay. Too much sugar may also lead to an afternoon crash, which in turn interferes with schoolwork. Instead, give your kids fruit and frequently remind them to drink water. 4. Be safe. With back to school comes school sports. Make sure kids participating in organized sporting events wear mouth protection. Kids should also remember to wear a helmet when riding bicycles, scooters, and rollerblading. 5. Dental Exams. 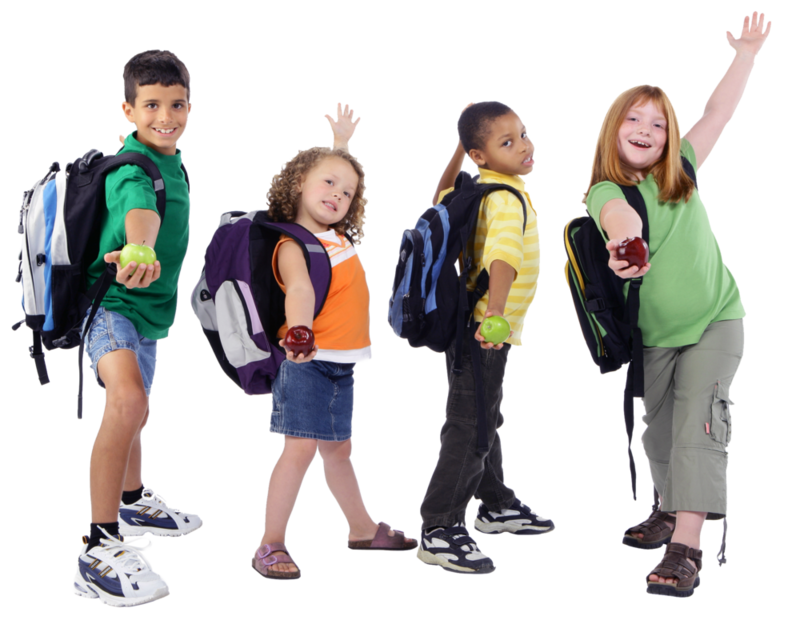 As always, it’s recommended to bring your kids in every six months for an exam, cleaning and fluoride treatment. If you haven’t made an appointment, give us a call and we will happily get you on the schedule. We hope your school year starts out all smiles.